Meat America is an eye-opening and artery-clogging tour of the American spirit, as told through meat. This photo by Dominic Episcopo, winner of a PDN Taste Food Photography Award, was snapped by me at the Photo Plus Expo, held at NYC’s Javits Center in October 2016. 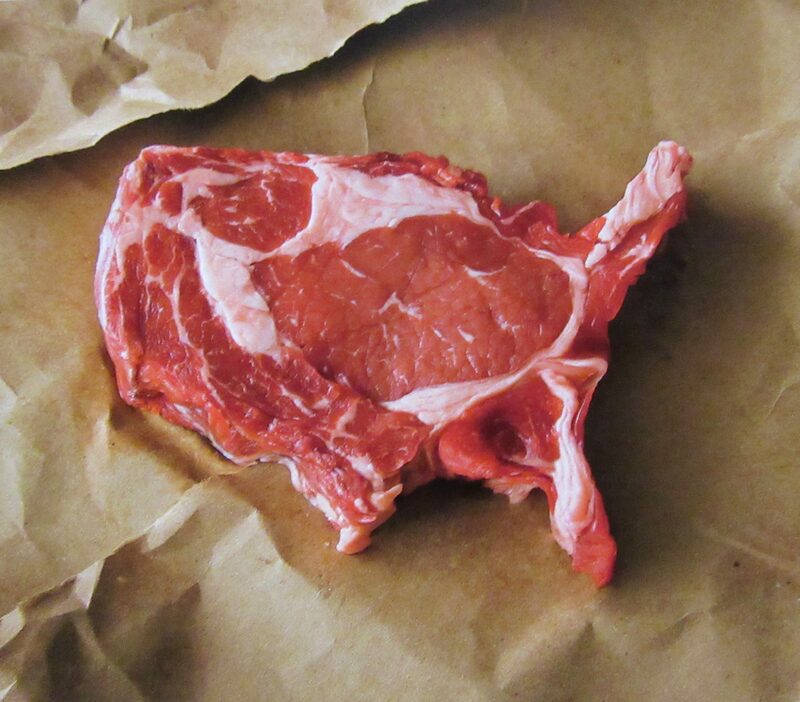 There is something so compelling about a raw steak shaped like our country. It makes me want to eat it, yes, but it also makes me want to find out more about where such a steak might have come from. In this case, it is part of a photo book by Dominic Episcopo, called Meat America. 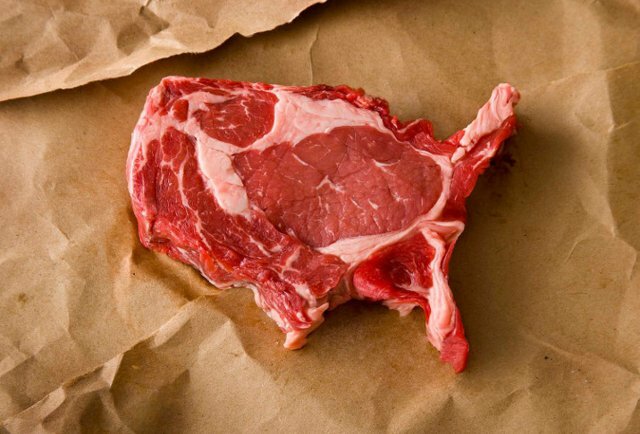 You can find out more about Meat America, and order a copy for yourself, at This Link.